Actively monitor and manage your application infrastructure performance in order to quickly respond and ensure optimal experience for your users. IBM® Cloud Application Performance Management tracks and manages user experiences throughout heterogeneous environments. The software is designed for easy deployment and provides non-invasive user performance monitoring to help ensure compliance with service level agreements. It also extends to certain applications running on mobile devices. Transaction tracking enables you to understand how the application performs during an actual transaction. It identifies and isolates issues and helps accelerate the repair process to minimize business impact. Agentless tracking allows you to quickly deploy transaction tracking throughout the entire IT infrastructure for critical applications. Agent technology allows selective deployment agents to provide more data. 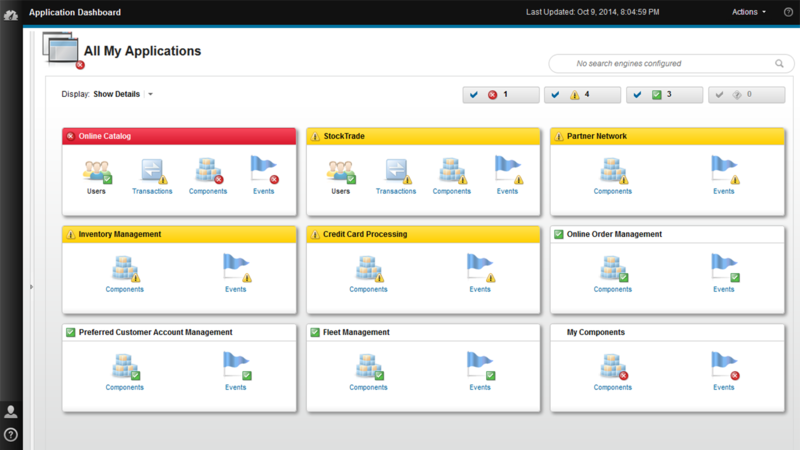 Impact analysis dashboards identify users affected by a failed transaction. Diagnostics provide root cause analysis of bottlenecks and performance degradations. IBM Cloud Application Performance Management facilitates diagnosis and repair of application performance issues and root cause, and then accelerates the repair process to help minimize business impact. Analytics provide insight and help you manage dynamic trends. Predictive analytics and capacity planning for proactive management are provided. Hidden trends and patterns are uncovered. Forecasting, trending and capacity analytics are included to help reduce outages, improve performance and optimize utilization. Discovery of application components in system environments provides visibility into the components of composite applications and helps speed problem resolution. This software helps you identify composite applications components and automatically maps transaction topology. IBM Cloud Application Performance Management gives IT operations, line of business, application owners, application development and DevOps teams the ability to access more performance information than ever before in a more readily available and customized view. Users need a workstation that runs one of the supported web browsers. Resolve IT Operational problems as fast and efficiently as possible.